Culture | Hunting dog. A graphic. 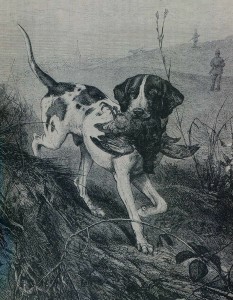 Shot for hunting cartridges.Hunting dog has found a cave.